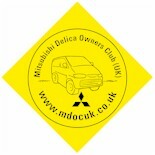 Mitsubishi Delica Owners Club UK™ :: View topic - clutch related noise, bearing ? clutch related noise, bearing ? Posted: Thu Aug 02, 2018 15:28 Post subject: clutch related noise, bearing ? I'm getting some noise when I start the engine in the morning. It goes off when I depress the clutch, and may come back if I release it, but usually one push is enough. It sounds like a loose metal part. This is a 92 4wd van, with v5m21 gearbox, I heard this box has problems with the input shaft bearing, and I heard something about thrust bearing (regarding noise and clutch). Clutch was replaced by previous owner 100 000kms ago (now 250 000kms on it), is it time again for a replacement ? Any advice on this is welcome, thanks ! Posted: Thu Aug 02, 2018 15:28 Post subject: Google Ads keep this community free to join! Hi, Belette. Try trawling this forum for posts by Pink Pig on this - he has done most things to his manual van. It might be the same part as on the older Pajero/Shogun 2.5 diesels. Hullo fellow M/T L300 owner! you might already have done so but if not have a trawl through the US and Canadian Delica forums, there's a few buried notes on that transmission. First post lists MD731727 as the part no for the input shaft bearing (this is a 1996 V5M21) which might be what you're looking for. I also note that this post is quite recent, and the poster, growlerbearnz seems pretty knowledgeable, so it might be worth a message. Hope this helps - I'm collecting as much info on all of this topic as I can find, as I suspect it is going to come in useful in future years. Good luck, let us know howyou get on. thanks for the links and tips ! I have to admit I saw this post (only its title) and I had no idea it had part numbers for everything ! Last time I got the clutch changed I also got the whole thrust bearing, release arm, spigot bearing changed - everything! I had lots of noise which went pressing the pedal - it was the thrust bearing but also the release arm - the pivots were quite worn so while the box was off I got the lot done. When I had the gearbox rebuilt many years ago I suspect the workshop didn't replace the release arm. I think this is the spigot bearing? This also should give some clues to what other vehicles used the "same" box, although the housing is obvs different for L300's (linkage is different). I really need to go back to work, but nothing like procrastination by learning about L300's! Some useful photos there - plus one purports to be of a package (with part number) for "input shaft bearing", again MD731727. thank you very much for digging out all those precious posts ! Alright I'll see what's damaged but I'll go for a new clutch kit + bearing, this new input shaft bearing with seals and fork bearing. Gearbox sounds good so far, and all the problems seem to be clutch related. Really appreciate your help guys ! just realized that spigot bearing is on the engine side on the flywheel, how is this related to the clutch ? The spigot bearing fits into the flywheel, and supports the input shaft after it passes through the clutch centre. To make a simple clutch centring tool, find a piece of tube or round bar that will fit/is slightly smaller than the spigot bearing centre. Wrap electrical tape around the end until it is an easy (not tight) push fit into the bearing. Wrap tape around the bar where the clutch driven plate will line up until that too is an easy push fit. Then fit the pressure plate. The make-shift tool should withdraw and re-insert easily and equally, perpendicular to the flywheel face. ah ! Thanks Andyman ! thanks for the tip for the custom tool ! I've got the specs in the manual, with it would take weeks for a local shop to machine it, great tip with the rod and tape love the cheap way ! now, I was looking at clutch kits, first with blueprint, but they don't have a kit matching all of them, at least one element will not match, is this normal ? Do you guys have a reference for a full kit or other ideas to get parts ?